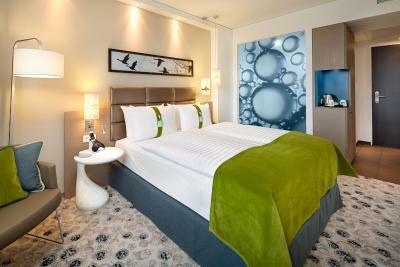 Lock in a great price for Holiday Inn Berlin City East Side – rated 8.8 by recent guests! The best part of this hotel is not the rooms, they are fantastic and spacious; it's not the restaurant, with a very complete breakfast buffet (German style!) and it's not the location, next to the iconic Berlin Wall. it's the staff! super friendly, super helpful. With that CAN DO attitude I expect from this chain. It's classic Holiday Inn, I chose it for it's location, next door to music hall and MB arena, which is really suitable when you go concert or something like that. There is new shopping mall across the street which is great, when you need to buy something or eat something good. 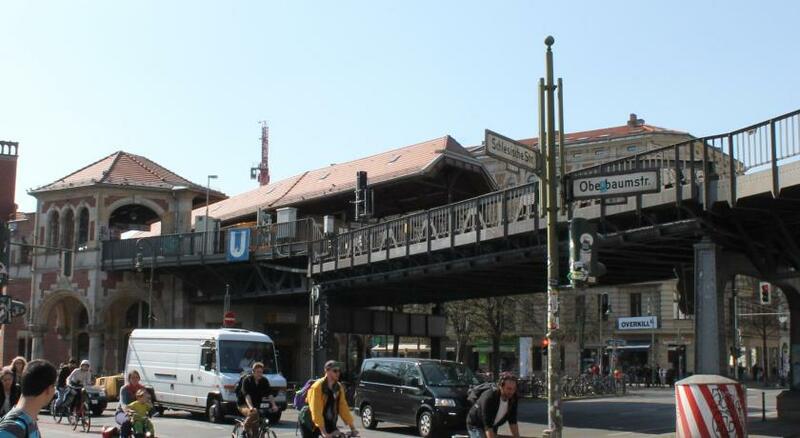 Close to U-bahn, S-bahn, train station. Good connection to city center. Good price for the service, I liked the breakfast with vegan options. 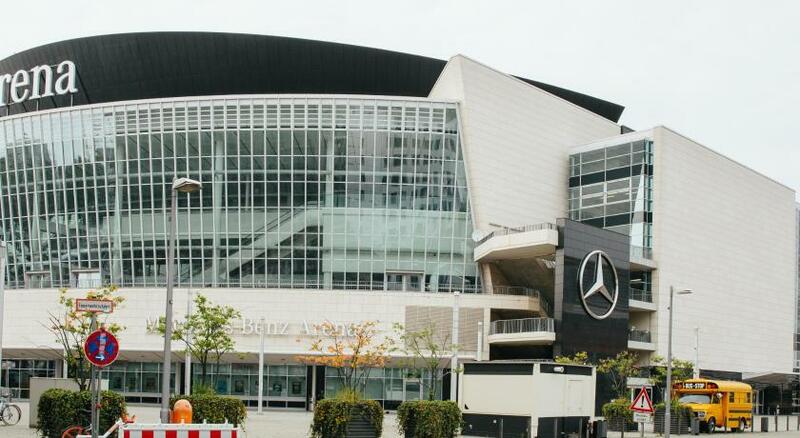 The nearby Mercedes arena is still under construction so I’d say the location is good and soon to be great. Right near an awesome wall exhibit. New, clean and efficient. It's a good choice on a budget without compromising on the surroundings. Let me put this this way ... you're not gonna have your wedding here, but for a clean, comfortable place to stay while exploring the city this is a solid choice. Staff were extremely helpful and laid back and we were right next to the Berlin Wall! Forgot my charger on the first day but they were happy to give me one along with toothpaste. You could also hire out hotel bikes for €12 all day (till 11pm) we hired a couple at half 9 and the staff member let us have them half price each since we didn't have much time and also let us bring the bikes back around midnight/half 12. Super chilled and friendly vibe from everyone. Room was spacious, bed super comfortable. Tasty breakfast. Great location, near the S & U Hahn, near tones of awesome restaurants and bars, good vibe and easy to walk neighbourhood. Location excellent nearby train station and good selection of restaurants. Bed very comfortable with variety of pillows. The location was great and next to the station. The hotel on a whole was clean and really comfortable rooms. Holiday Inn Berlin City East Side This rating is a reflection of how the property compares to the industry standard when it comes to price, facilities and services available. It's based on a self-evaluation by the property. Use this rating to help choose your stay! These modern, air-conditioned rooms are stylishly decorated with contemporary furnishings and carpeted floors. Each room features a sitting area, flat-screen TV, and a coffee machine. A full breakfast buffet is available every morning, and the restaurant serves classic German and international specialties in the evenings. A wide selection of restaurants, cafes and bars can be found within in 5-minute walk. Holiday Inn Berlin City East Side is 2 miles from Alexanderplatz, 5 miles from the Kurfürstendamm and 2 miles from Potsdamer Platz. 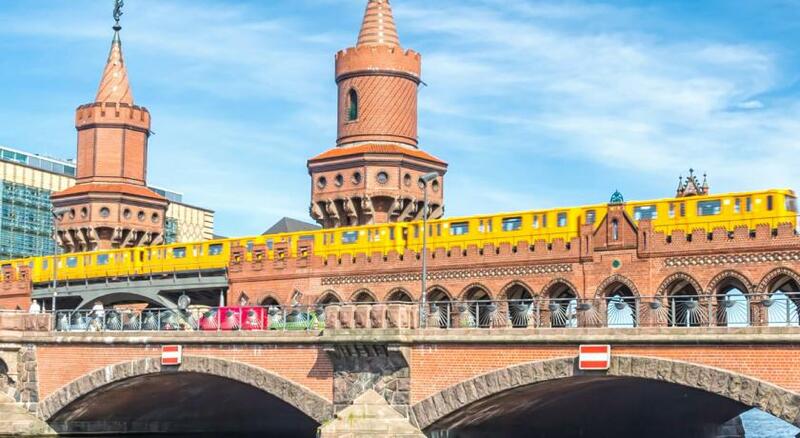 All are easily accessible from the Warschauer Straße U-Bahn (subway) Station (just over a quarter mile). 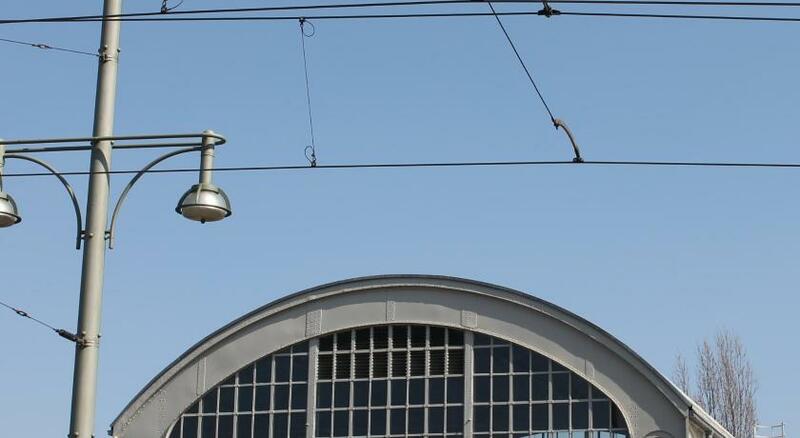 Berlin Central Train Station is 4 miles from the property and Tegel Airport is 7.5 miles away. 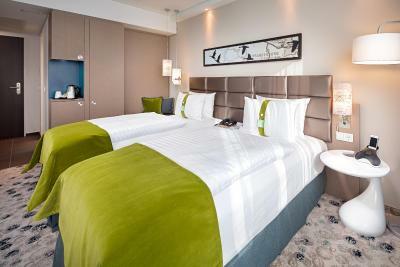 When would you like to stay at Holiday Inn Berlin City East Side? House Rules Holiday Inn Berlin City East Side takes special requests – add in the next step! Holiday Inn Berlin City East Side accepts these cards and reserves the right to temporarily hold an amount prior to arrival. Please note that if you book a nonrefundable rate, your credit card will be charged after the reservation is made. Not hotels fault but construction work going on directly across from hotel which started early each morning. It looks like WiFi throughput is quite limited. Sometimes despite of good WiFi signal level it was almost impossible to use it due to permanent re-connections. location is ok, walking distance to metro & train, very closed to East Side Gallery. has a new shopping mall there, have eat & walk. Drinks and food items very expensive, three euro for a small bottle of water is too much. The wifi breaks down for a while but was fixed during the stay. This causes some trouble. Friendly staff and good service. Close to restaurants and bars. The hotel is in a walking distance from the metro station, bus station, and a big mall where you can find famous brands as well as a food court. The breakfast was also vegetarian-friendly. I cannot fault my stay at all. The hotel and my room were very clean and comfortable. Staff were superb and friendly and breakfast was super tasty! Waiters in the hotel restaurants could be more attentive, bed matresses are too soft for my liking. There is a large and noisy groundwork just next to the hotel. Great location close to the MB venue, modern rooms, good breakfast, easy to park in East Side Mall for just 7€ per day.